self-winding, mechanical movement, 25 jewels, 28,800 bph, Shockproof according to DIN 8308, Anti-magnetic according to DIN 830. Hour, minute, permanent small sweep second, Day/Date window with new, modified position. 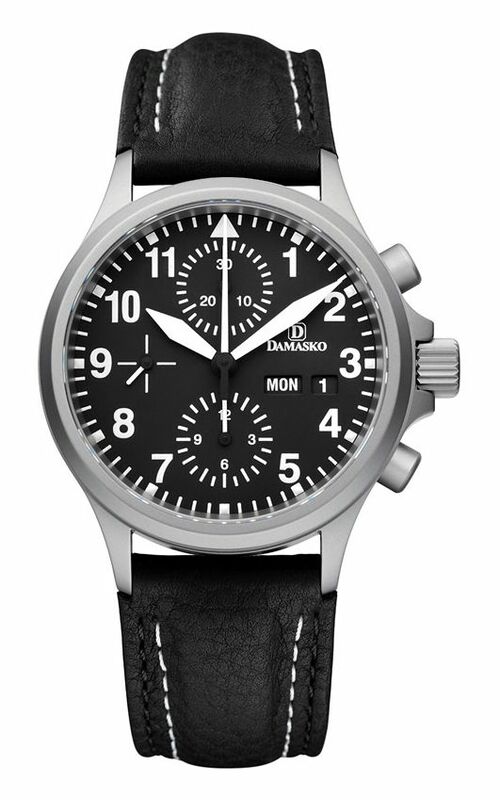 Chronograph: 12-hour counter and 30-minute counter on sub-dials .central 60-second counter. Stainless steel, nickel-free, bead-blasted, Ice-hardened to guaranteed 60 HRC or 710 Vickers, Integrated anti-magnetic inner cage, anti-magnetic to 80,000 A/m or 100 mT, Sapphire crystal with anti-reflective coating on both sides, Crystal gasket resistant to UV radiation, Solid screw back with O-ring VitonÃ¢â€ž¢ gasket. All gaskets made from VitonÃ¢â€ž¢ which offers a premium chemical resistance and which is superior to most other materials used in the watch industry. New patented crown and pusher system, crown stem and pusher shafts are machined with minimal tolerances and leave almost no gap between pusher/crown and case, but nevertheless do not scratch. Crown and pushers are also equipped with a permanent lubrication cell which eliminates friction. Screw-down crown with protective shoulders. Crown, pushers, and tubes hardened to 60 HRC, Water resistant to 10 bars/100 metres according to DIN 8310. Crystal has a secure fit even in case of a sudden negative pressure. Matt black with white numerals. Hour markers and triangle at 12 coated with white compound. The minute and hour hands are painted in matt black with luminous compound LuminovaÃ¢â€ž¢ C1 (white). The centre seconds and chronograph hands are not luminous. 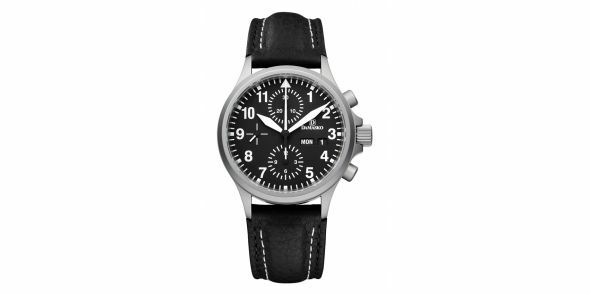 High quality water resistant leather strap. Weight without strap: 89 grams.